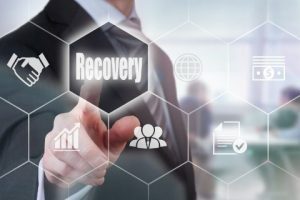 Persistence Market Research recent market report on Global Crisis, Emergency and Incident Management Platforms estimates that it will be worth $102 billion (USD) by the end of 2024. A 2017 market analysis by Persistence Market Research on the market in North America predicted the year-over-year growth the Global Crisis, Emergency and Incident Management Platforms to increase at a CAGR of 7.2%. through to 2023. The 2017 report estimated that the North America market accounted for a relatively high market share and be valued at more than US$ 20 Billion in 2017. The report estimated that the North American regional market would continue to remain dominant in terms of value during the forecast period (2017 – 2024). 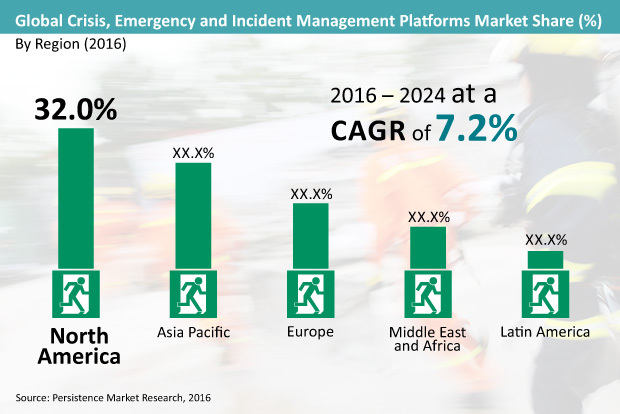 The latest market report from Persistence Market Research predicts that the global market or crisis, emergency & incident management platforms will be fragmented across various systems and platforms. Among which, the demand for web-based emergency management software, geospatial technology, emergency notification system, hazmat technology, seismic warning systems, and remote weather monitoring systems is expected to gain traction throughout the forecast period. These systems are also predicted to be demanding greater incorporation of communication technologies. Through 2024, satellite phone, vehicle-ready gateways, and emergency response radars will be the most dominant type of communication technologies used in working of any crisis, emergency & incident management platform. Likewise, the report also expects that during the stipulated forecast period, professional services such as consulting and emergency operation center (EOC) design & integration will be in great demand. By the end of 2024, crisis, emergency & incident management platforms will be actively adopted across industry verticals such as BFSI, energy & utility, government & defense, and telecommunication and IT. A regional analysis of the global crisis, emergency & incident management platform market indicates that North America will dominate by accounting for over US$ 36 Billion revenues by 2024-end. Adoption for such platforms will also be high in Asia-Pacific, and the region is expected to showcase a 6% value CAGR. 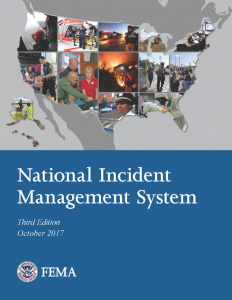 Leading providers of crisis, emergency & incident management platforms in the world include Honeywell International, Inc., Lockheed Martin Corporation, Motorola Solution, Inc., Rockwell Collins, Inc., Siemens AG, Iridium Communication Inc., Guardly, Environmental System Research Institute, Inc., and Intergraph Corporation.